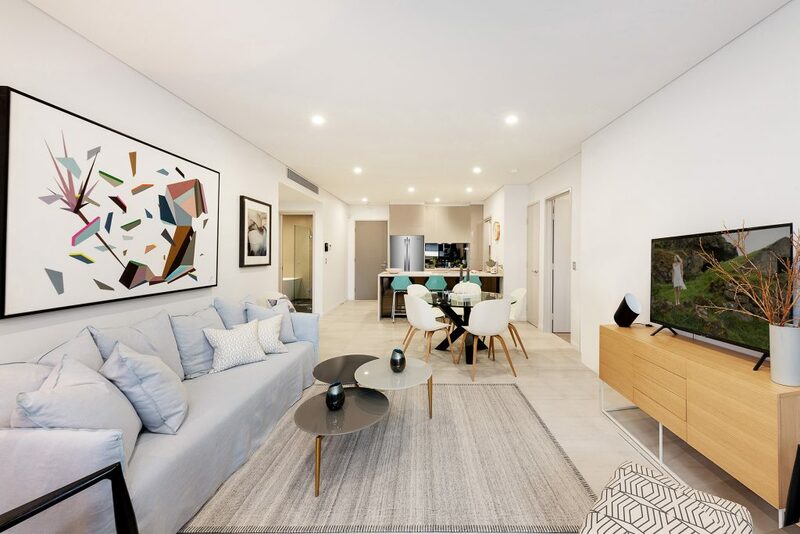 Introducing Coco Collection, luxury resort-style living within the stylish heart of Rosebery only paces from Green Square’s Gunyama Park and Aquatic Centre. Coco Collection’s statement design pays homage to Rosebery’s industrial past and its vibrant future. Designed by DKO, two masterpiece buildings house 189 oversized apartments. The building is crowned by top floor sky homes with private rooftop terraces featuring breathtaking views of the lush green space on the ground. 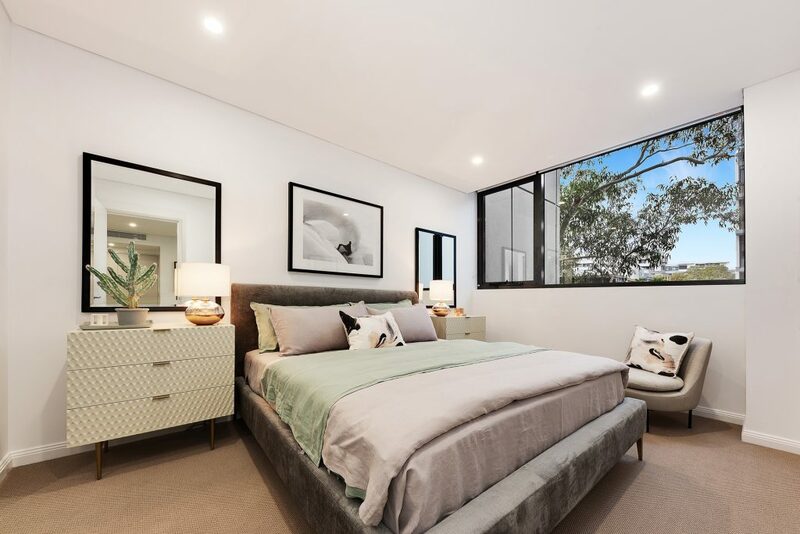 Rising seven storeys, overlooking the newly created Rosebery Park and just 4kms from the CBD, Coco Collection is your chance to treat yourself to something special. The Coco Collection’s statement design pays homage to Rosebery’s industrial past and its vibrant future. Enjoy spacious 1, 2 and 3 bedroom residences set amongst tree-lined boulevards and lush parklands. Inside and out, Coco Collection sets the stage for inspired city living. Two grand double-height lobbies draw you inside where you’ll enjoy some of the largest apartments ever built in the area. Inspired by elegant living. Distinctive limestone look tiles flow throughout the living and kitchen areas while thoughtfully planned functional layouts make seamless use of space. Quality and contemporary kitchens. 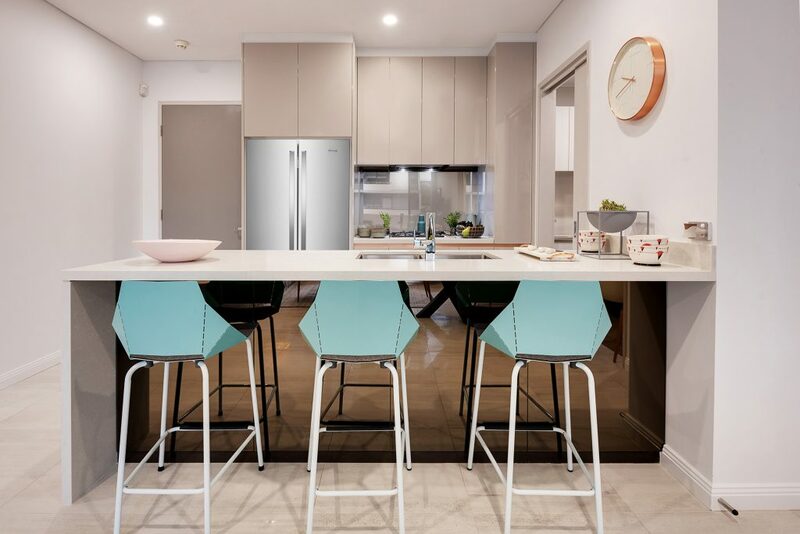 Designed for easy entertaining and family life, the streamlined kitchens form a stylish centrepiece inside the home. Detailed bathing essentials. 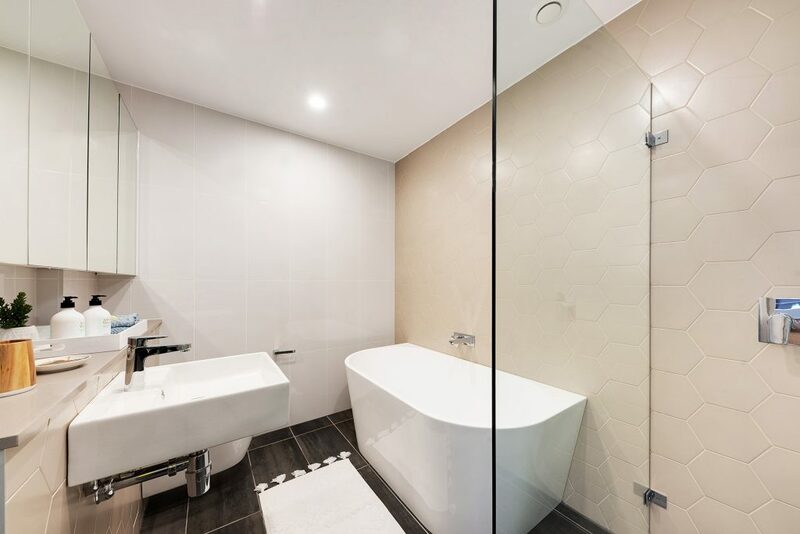 Beautifully detailed bathrooms and ensuites blend crisp, clean lines with luxurious finishes. Awake to nature’s beauty. Tranquil bedrooms are your private world. Feel the warmth of wool blend carpet underfoot in a space designed around peace and comfort. Apartment averages of 1 bedroom 61sqm + balcony, 2 bedrooms 90sqm + balcony, 3 bedrooms 105sqm + balcony Architecture: Designed by award-winning architectural firm DKO. The fine art of five-star living. Dive into your new resort-style life at The Gallery where a 20m indoor swimming pool, spa, sauna and resident-only gyms are just some of the five-star amenities on offer. Get to know the blossoming Rosebery scene. Just around the corner, you can experience a delicious day out with The Cannery satisfying all of your culinary desires. Here, greengrocers, butchers, bakers, coffee roasters, restaurateurs and many other proud purveyors put their finest produce on show. Housed in a revived warehouse in The Cannery Rosebery, The Cannery is a place where producers and shoppers come together. A place where everyone shares their passion for great-tasting food and drink. 350m from the new Green Square primary school which will accommodate 600 children and include a multipurpose hall, after-school care, sports courts and open space. 2km Away, the future light rail will soon add a direct link to Sydney’s finest schools and universities including Sydney Boys/Girls High, Sydney University, UTS, UNSW and an array of primary schools and TAFE institutions. The Gallery is situated 500m to an upcoming world-class public sporting haven where you will have access to a 7,000sqm aquatic centre including an indoor 50m pool, Hydrotherapy and kid’s pool, gymnasium, café and crèche with an outdoor area. Gunyama Park will include a full-size synthetic multi-purpose sporting field, playground, outdoor training circuit and public amenities. Investing in property should be exciting, stress free and profitable when done well. We believe strongly in the area of Rosebery having retained close to 1000 apartments as part of our in-house portfolio. We’re already established as a leader in property management in South East Sydney, with a consistent vacancy rate below 1%.